Michael is an award-winning professional photographer based in Townsville, North Queensland. Picking up a camera at age ten, Michael discovered his love of the photographic arts. He pursued this new-found hobby, photographing family and friends in his spare time, on weekends and school holidays. Michael photographed his way through his senior schooling years where he learnt photography, film processing and printing. 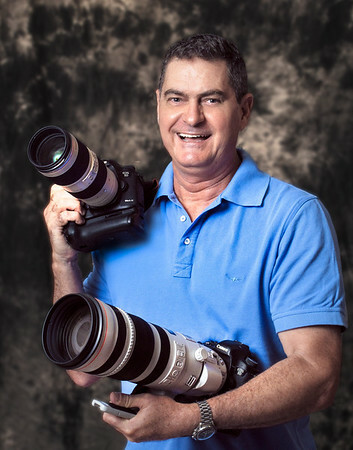 With the completion of high school, Michael turned his passion for photography into a full time occupation, and has now acquired over thirty-five years experience within the profession. Michael’s photos are regularly published in newspapers and magazines throughout the nation and around the world. The digital revolution of photography has certainly changed the industry and the exciting imagery that we now see. While embracing this innovation, Michael strives to deliver quality images at a price that is still within the client’s budget. Specialising in on-location shoots, Michael provides creative imaging suitable for use in a variety of applications including Commercial, Industrial, Advertising, Corporate, Editorial, Sports, Aerial and Property. Michael can be contacted by phone or email to discuss photography needs, pricing and availability. During the rare moments when he is not taking photographs, Michael can be found walking his ‘Old Yellow’ dog, going for a blast on his classic Norton motorcycle, casting a fishing line into the clear blue waters of the Great Barrier Reef or taking cooking lessons from his gorgeous Thai chef wife. Life is pretty darn good when you’re living in paradise and doing what you love!